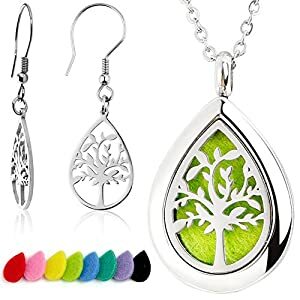 [Premium Quality] JAOYU’s premium grade essential oil diffuser necklace pendant locket animal jewelry with free 24″ stainless steel chain is great for elegant ladies and gentlemen of all ages, including boys and girls,including your little princesses. 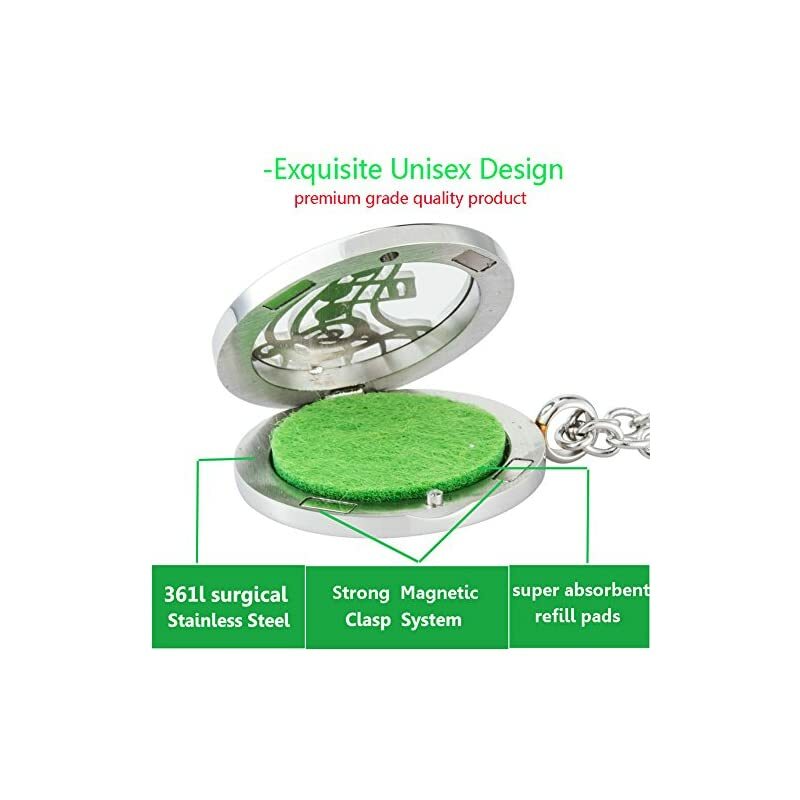 [Magnetic Close] The super-efficient locket closures and solid back protection of the pendant secures the felt pad and gives you the pleasure of carrying your favorite oil without the slightest possibility of the oil smearing on your skin or dress. 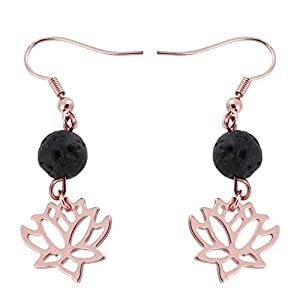 [Your Personal Oil Diffuser] You can enjoy your favorite essential oil or perfume at any time any place, as long as you wear these essential oil necklace charm jewelry. 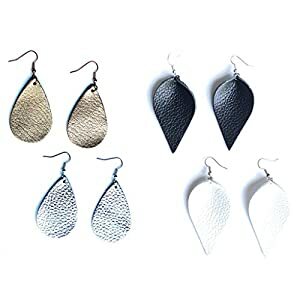 And the 8 color refill cotton pads can help you distinguish different scents and makes it easy not to mix scents. 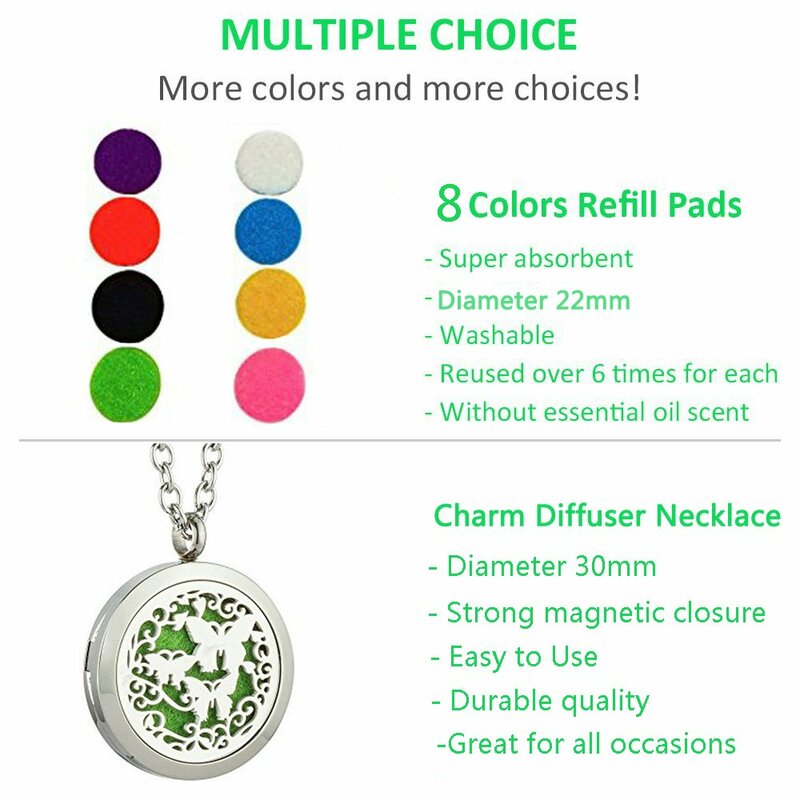 JAOYU’s premium grade essential oil diffuser necklace pendant locket animal jewelry with free 24″ stainless steel chain is great for elegant ladies and gentlemen of every age, including girls and boys,including your little princesses. 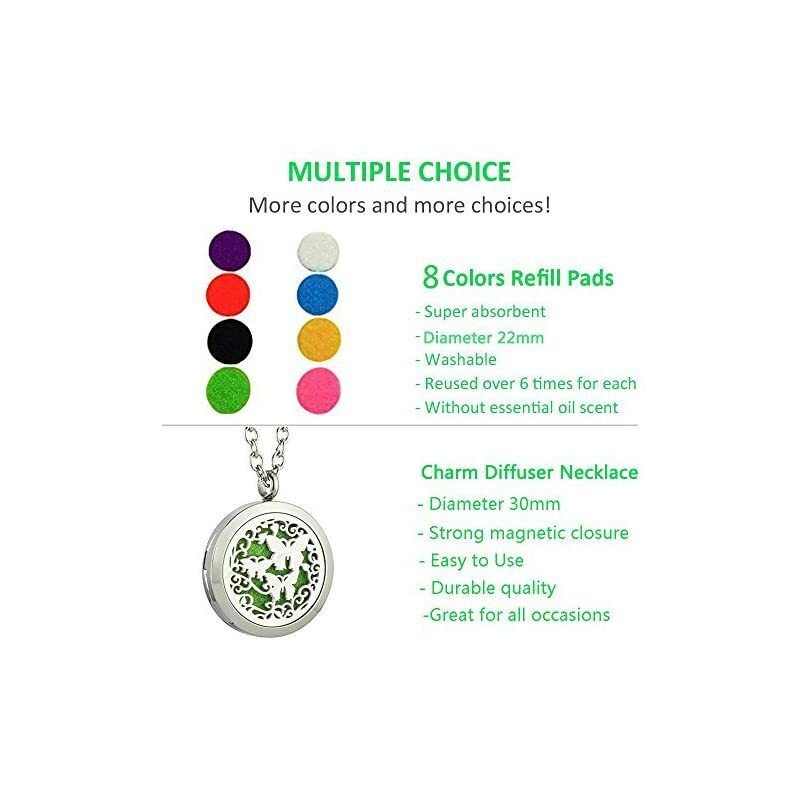 The colored cotton pads have superb oil retention capacities with a purpose to hold your favorite essential oils all-day long, as the aromatherapy locket pendant uniformly diffuses its sweet fragrance. 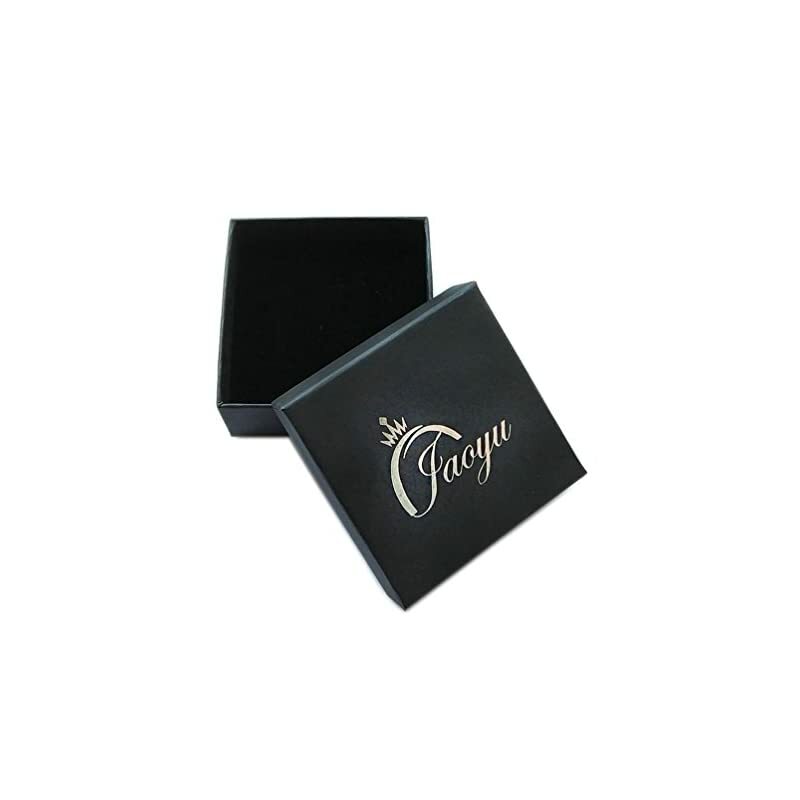 The super-efficient locket closures and solid back protection of the pendant secures the felt pad and will give you the pleasure of carrying your favorite oil without the slightest possibility of the oil smearing on your skin or dress. 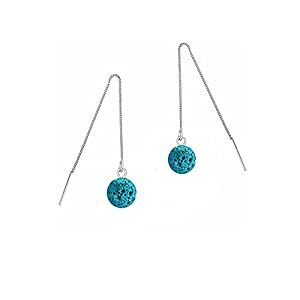 You’ll enjoy your favorite essential oil or perfume at any time any place, so long as you wear these essential oil necklace charm jewelry. 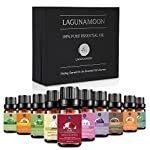 And the 8 color refill cotton pads mean you can distinguish different scents and makes it easy not to mix scents. 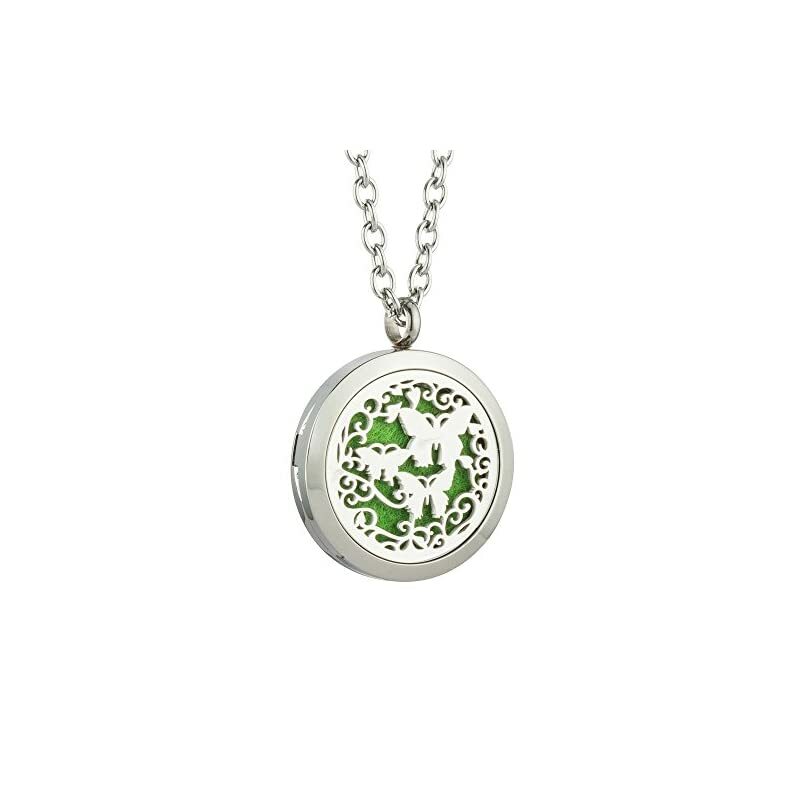 Turtle is the symbol of longevity,turtles live a very long and fruitful life,and teaches great spiritual significance of taking the easiest care of self and having a long life filled with splendid journeys having learned many valuable life lessons.The greatest wealth is Health, so wear the turtle necklace as a reminder that keeping healthy,this is your greatest wealth. 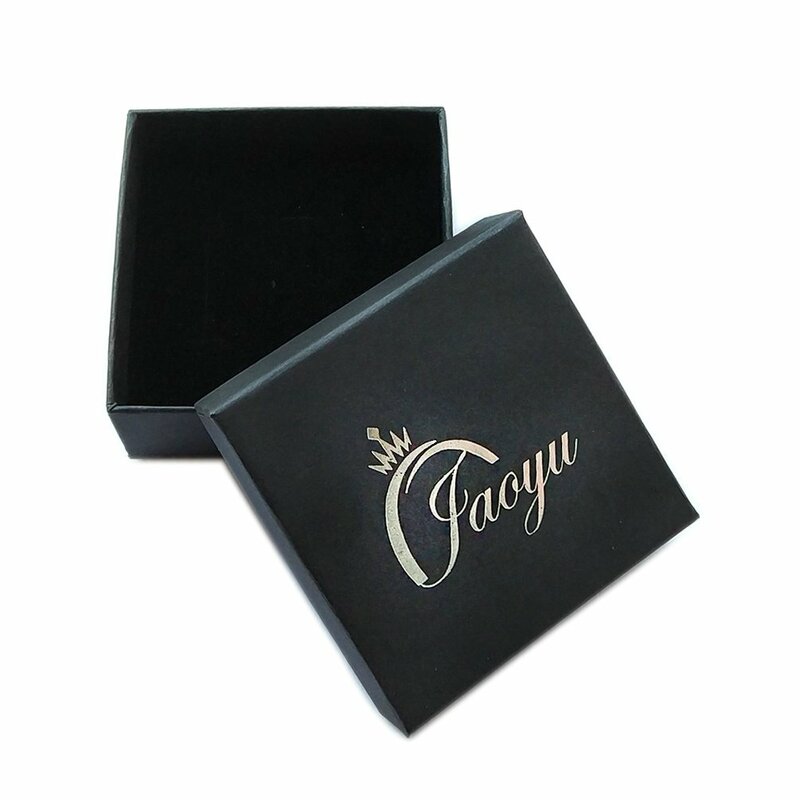 TThe perfect finishing of JAOYU essential oil diffuser stainless steel necklace chain fashion jewelry makes our product outstanding, great for birthday gifts, anniversary present, mother’s day ideas, father’s day gifts and other gift giving holidays and celebrations. 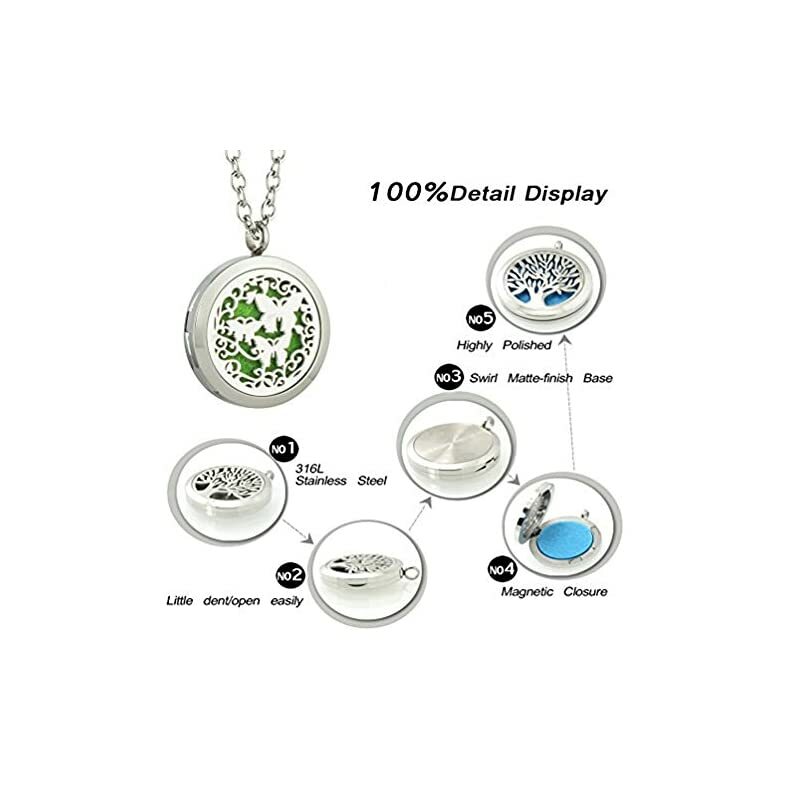 BEWARE OF IMITATIONS – CHOOSE ONLY 100% GUARANTEED JEWELRY PRODUCTS WITH ABSOLUTE SATISFACTION when you buy premium quality Aromatherapy Locket Pendant Essential Oil Diffuser Chain Necklace Jewelry straight away from JAOYU. 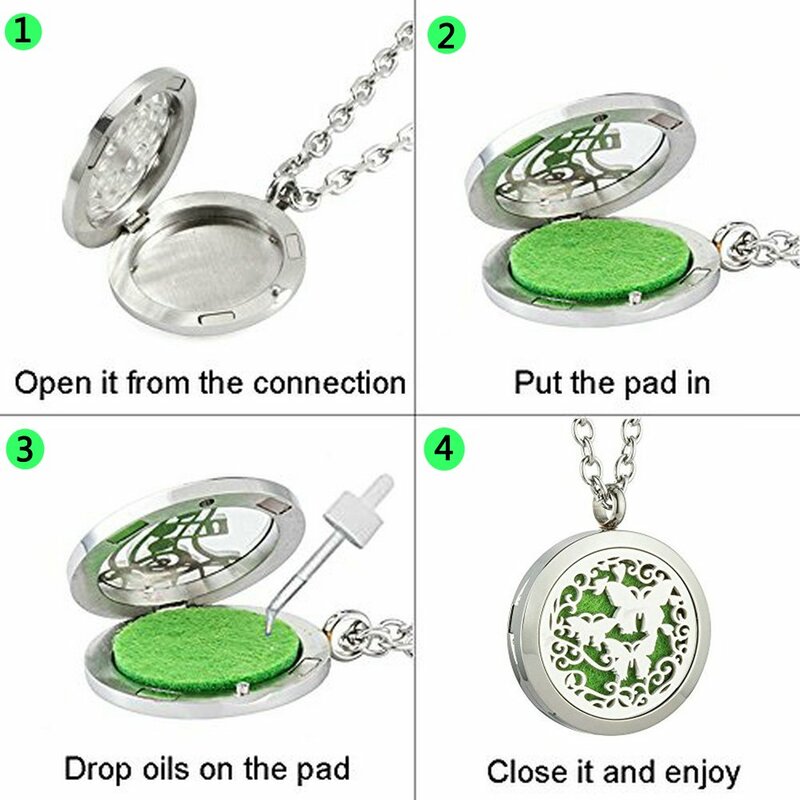 Click the “ADD TO CART” to Order Your Essential Oil Diffuser Necklace For Men Women Animal Jewelry TODAY! [Premium Quality] JAOYU’s premium grade essential oil diffuser necklace pendant locket animal jewelry with free 24″ stainless steel chain is great for elegant ladies and gentlemen of every age, including girls and boys,including your little princesses. 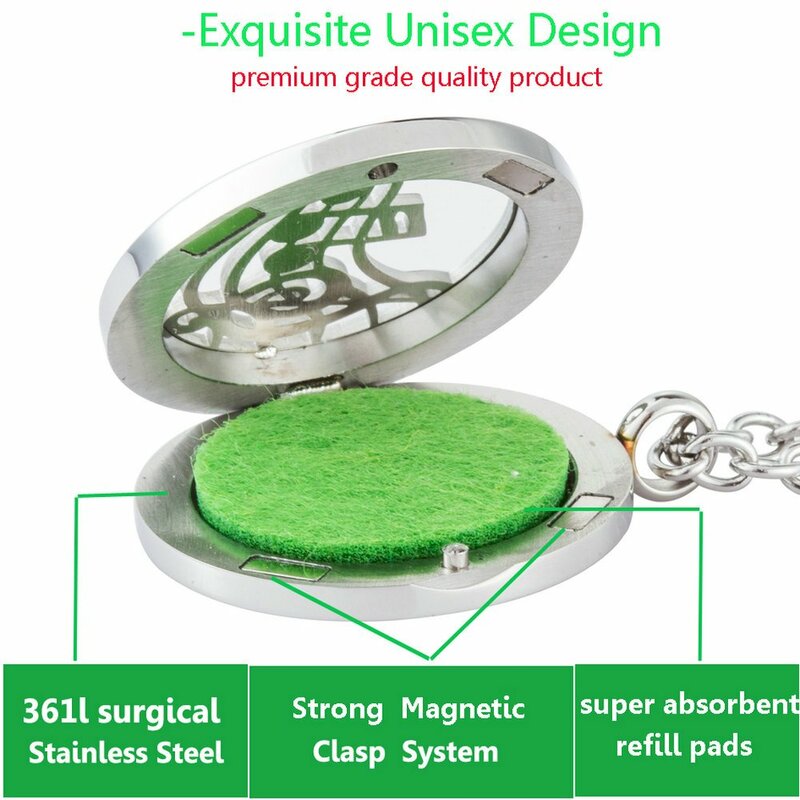 [Magnetic Close] The super-efficient locket closures and solid back protection of the pendant secures the felt pad and will give you the pleasure of carrying your favorite oil without the slightest possibility of the oil smearing on your skin or dress. 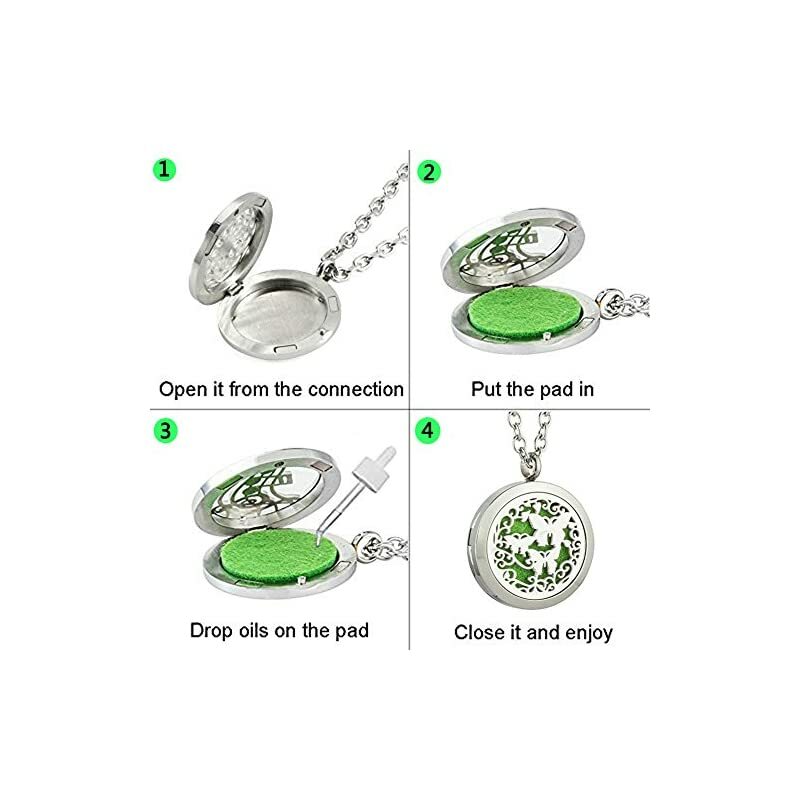 [Your Personal Oil Diffuser] You’ll enjoy your favorite essential oil or perfume at any time any place, so long as you wear these essential oil necklace charm jewelry. And the 8 color refill cotton pads mean you can distinguish different scents and makes it easy not to mix scents. 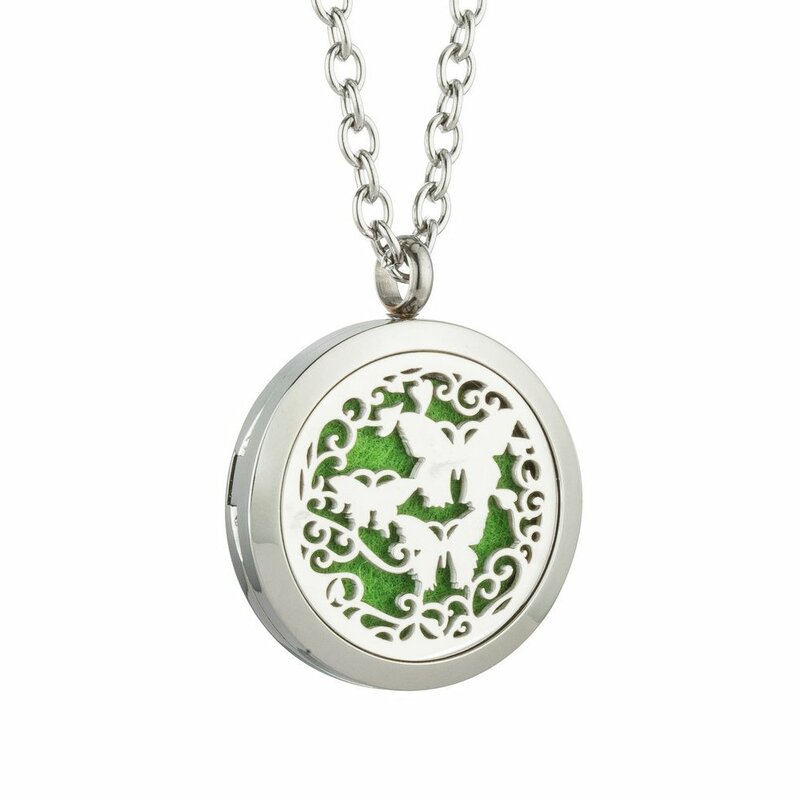 [Health and Longevity] Turtle is the symbol of longevity,turtles live a very long and fruitful life,and teaches great spiritual significance of taking the easiest care of self and having a long life filled with splendid journeys having learned many valuable life lessons.The greatest wealth is Health, so wear the turtle necklace as a reminder that keeping healthy,this is your greatest wealth. 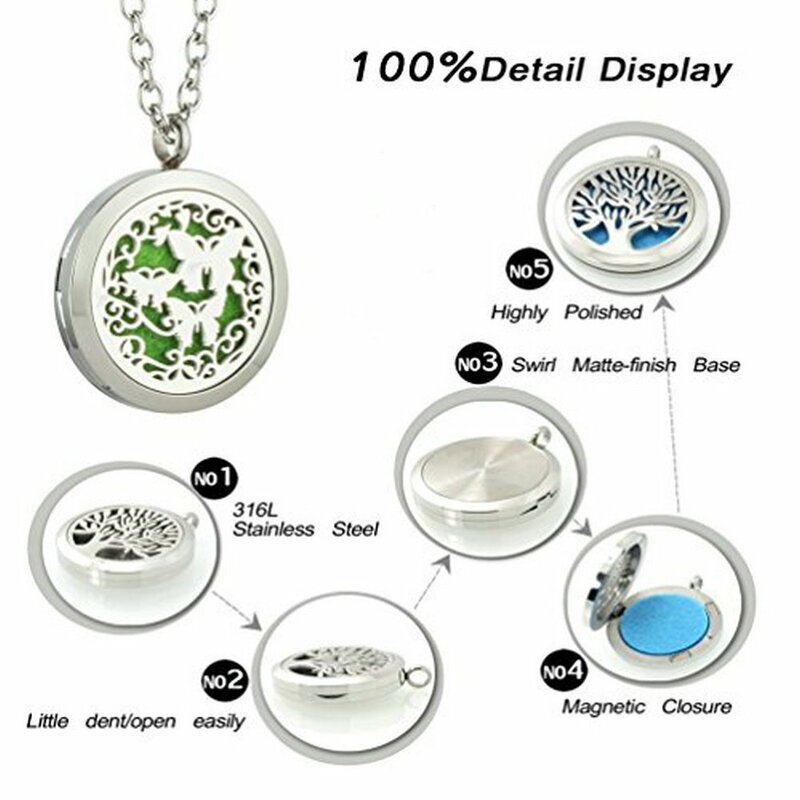 [Perfect Gift] The easiest finishing of JAOYU aromatherapy diffuser stainless steel necklace chain fashion jewelry makes our product outstanding, great for birthday gifts, anniversary present, mother’s day ideas, father’s day gifts and other gift giving holidays and celebrations. 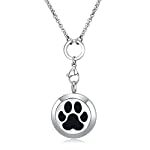 Click the “ADD TO CART” to Order Your Essential Oil Diffuser Necklace For Men Women Animal Jewelry Today!